A bag of dried palm fronds that are given out in Orthodox Christianity on Palm Sunday. 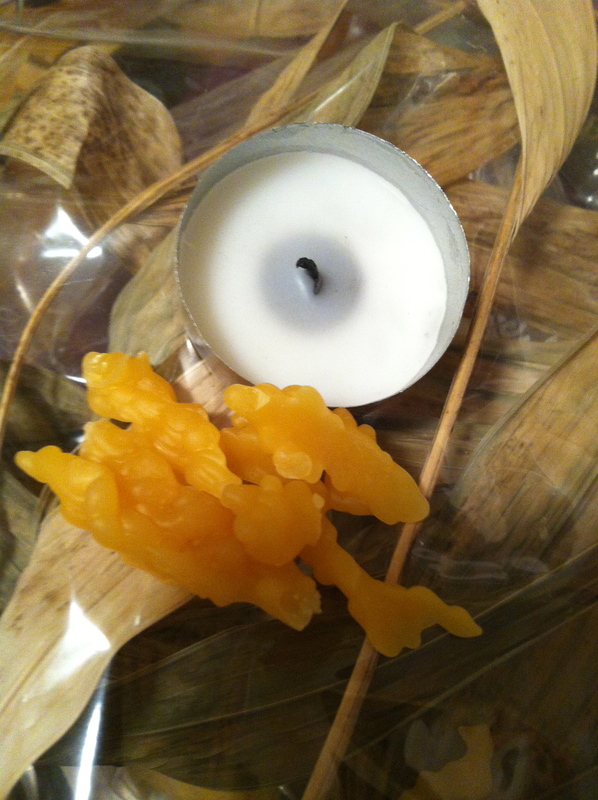 On top of the bag are bits of used beeswax candles and a small tea light container. This collection of holy trash is being saved by author’s interlocutor in order to be burned or buried. Photograph taken by author and used with permission (2014).